Pizza Friday. Of course Pizza is good any night of the week. Americans love their Pizza, and this informative and entertaining infographic has some astounding numbers of pizza-digestion. God. Bless. Pizza. Disclaimer: This infographic is courtesy of OnlineCollegeCourses.com. 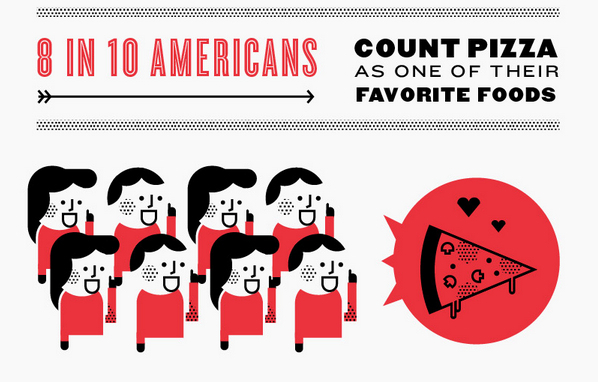 What do you think of the numbers of Pizza ingested by Americans? I think the slices per year are low. Only 46 slices per year each? That’s not me! They would be pieces of slices and therefore double the stats. Now we are twice as fat! Thanks Marilyn! I’d be curious to see the pizzeria ownership percentages back in the 80’s when you would think Pizza Hut and Dominos would probably hold 50%.